There are lots of Healthy Lunch Ideas available to us if we take the time to look. The typical lunch ideas of a huge sandwich, chips, cookies, and a fruit is outdated, as well as not being the healthiest choice! Too many processed carbs, fat, and additives. Small 100% whole wheat 100 calorie bagel. Tuna salad made with low-fat or fat-free mayo only. Be sure to make your tuna half meat, and half chopped celery, green peppers, chopped sour pickles, chopped apples or the veggie of your choice. 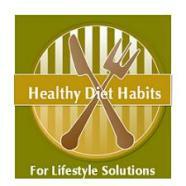 You will be diluting your meat choice with lower calorie veggies! Lettuce, tomatoes, sliced onions, leftover grilled veggies, any sliced veggies. Any mustards like yellow, or Dijon. Watch the sugared ones and limit them. Low-fat or Fat-free mayonnaises. You can’t taste the difference when mayo is mixed with other ingredients. What a huge waste of calories! Ban if from your kitchen!!!!!! Any fat-free salad dressings. Trader Joe’s has some great choices! Check out the super salad meal chart! All fruits are great choices. Just make sure you are eating a serving. A pound of grapes is not a serving! Yogurts that are low sugar or Greek varieties. 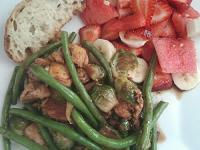 Any dinner leftovers that fit your lunch meal plan - limitless options! 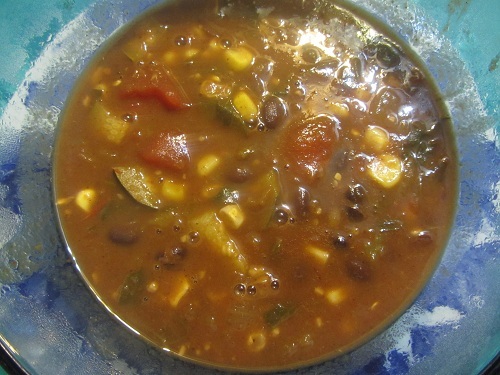 There are endless choices of soups that can be made from any veggies, whole grains, and beans. Take the soup challenge, and make a different pot of soup each week for a year. Choose ones without a cream base to keep the calories in check! This is the easiest way to get your daily veggie quota up! Check out my Soup Recipes section! Sandwiches done right, Burritos, Soups, Salads, Leftovers, or any healthy real food that you love can all be healthy diet habits for a healthy lunch! Take a friendly tour of either Trader Joes or Whole foods, just to look for healthy lunch ideas that you would enjoy! Be adventurous and try new foods! Just make sure it fits into your meal plan calorie level!